Limitless design capabilities with easy-to-use programs - that’s the Advantage Label Advantage. We partner with premier label management and design software companies that deliver solutions that simplify your label programs. Seagull Scientific has been a trend-setting innovator of label software and barcode software since 1985. Seagull developed the world’s first Windows software for industrial label printers, including the very first Windows printer drivers. Today, BarTender design and print software for label, barcode, RFID, and card printing is an essential tool for hundreds of thousands of users in more than 150 countries. 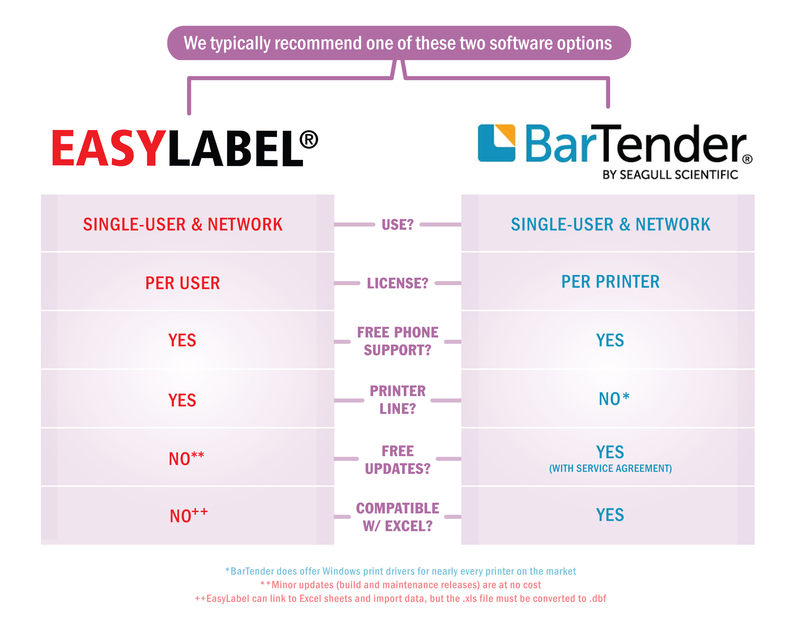 Excellent user interface and favorable multi-user licensing make BarTender the right choice for some applications. Ensure your business meets evolving industry regulations with our industry leading software. Click here to try BarTender today! Developed by Tharo, Easylabel is one of the best selling, most powerful label design software options available. Easylabel software offers network licensing (including Terminal Server) and powerful Command File Monitoring, RFID, DDE, ODBC, XLM Generator, and ActiveX/COM controls. We’ll help you install, train support and troubleshoot the software. 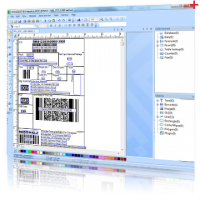 TekLynx product identification software provides unparalleled label design solutions for applications small and large. 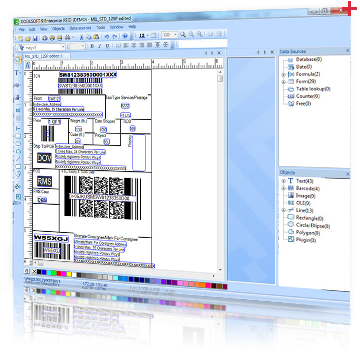 The Teklynx barcode package software is equipped with advanced features like thermal labels and thermal transfer labels to uniquely identify fonts and products in a wide variety of application systems for virtually any industry. CodeSoft: Advanced label design and integration software that offers unmatched flexibility, power, and support – one of the best barcode software choices for label printing in enterprise environments. Easily integrate label printing and RFID technology into business processes. LabelView: Powerful, easy-to-use barcode label design application to your company’s business process that can be used by anyone from beginners to advanced users. With the stability of Labelview’s platform, your barcode software will be dependable today and in the future. Label Matrix: Feature-rich barcode label design software for smaller companies looking for a trusted solution at a reasonable price point. Intuitive application with an easy-to-navigate interface. Helpful wizards guide the user through adding text, images, barcodes, connecting to a database, and more design options for barcode labels that ensure a straightforward process. Our expert team will help you select the perfect label design and management software that works for your needs. Contact us now or give us a call today. 1-800-260-0939.